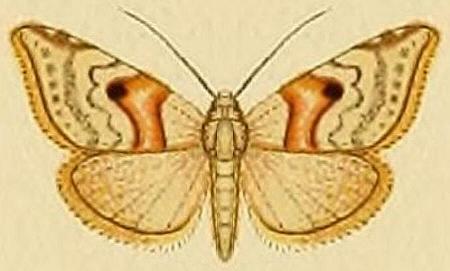 The adult moth is pale brown, with dark wavy lines across each forewing, including a prominent dark spot near the middle. The hindwings shade darker towards the margins. The wingspan is about 1.5 cms. Volume 27 (1902), pp. 116-117.